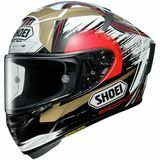 EARTH - Bangkok Very nice design and mush have mush quality "that sound great to here that cause i get same time with new ZX10r"
Robert - NC Shoei RF-1200 Helmet best helmet I have ever worn. 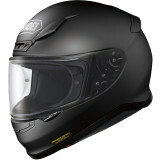 "This helmet is so light weight it does not even feel like you are wearing one. SNELL and DOT Certified so it can be worn for track days. The pin lock system makes shield changes super easy. The EVO insert is a must when riding in cold/Damp conditions and pretty much eliminates fogging."